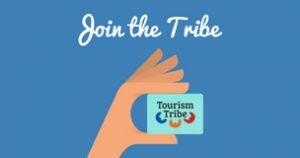 What is Tourism Tribe? is it for me? Tourism Tribe is a space where those in the business of Tourism learn how to get a greater share of customers. We connect you with online learning resources, tourism experts and a community of like-minded businesses. Tourism Tribe connects you to a live worldwide hub of learning resources, it is the number one companion for any business in the tourism industry. Anyone working in Tourism from anywhere around the world can join Tourism Tribe. Tourism Tribe offers a full training calendar for busy tourism businesses, online tutorials and cheatsheets, a support forum for tourism businesses, a tourism expert directory and much more. Tourism Tribe offers 3 plans: A casual free plan which allows you to pay as you go, a no brainer plan which gives you access to all resources as well as a Superstar deal which includes full access plus one on one coaching and a professional assessment of your tourism business' online presence. View our plans. Doesn't my web person look after that? Your web developer looks after the development and look and feel of your website - that's their specialty. Tourism Tribe goes well beyond that and focuses on enabling you and your staff to take all the opportunities to make your tourism business efficient and competitive. Tourism Tribe is a worldwide community of tourism professionals - this includes coaches, digital experts, marketing experts, business development professionals and operators just like you. Our forums are manned by our tourism experts who respond to your questions 5 days a week. You'll also benefit from the responses of operators just like you! As Tourism Tribe in an online community, the access is user-based. If you'd like to give access to more than one of your team please contact us so we can work out the best plan. The forum and live chat hotline are staffed by experts every weekday. You can expect an answer within three to five hours. If you require an immediate answer you can schedule an immediate call. Alternatively, you can organise a private coaching session. I have a logon and password from the ATDW Tourism e kit and it doesn't work, what should I do? You'll need to create a brand new logon when you register at Tourism Tribe. You can register here. Tourism Tribe is the number one companion to any Tourism Business. Not only do we offer online marketing advice but we also include resources and training about marketing and niche tourism. Ask us and if we don't know the answer we will most certainly be able to point you to a vetted expert who does.